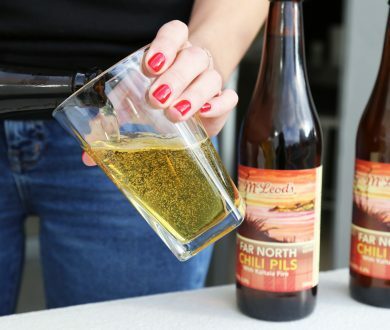 Named after the area code for Vermont — the home state of McLeod’s Head Brewer, Jason Bathgate — the brand’s 802 line has become a favourite among McLeod’s loyal followers. 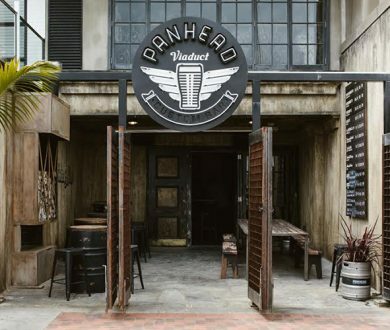 The range comprises limited, monthly keg releases that each play on the unfiltered IPA theme, and so far has seen 16 different iterations, all of which have been exceptionally well-received. 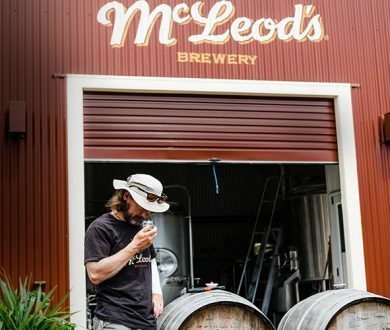 The idea behind McLeod’s unfiltered IPA is to highlight the natural hoppiness of the beer. Filtering a beer may achieve that clear, golden colour but it can also actually remove the distinct flavours and aromas of the hop oil. Unfiltered IPA has a hazy, cloudy hue, but a much stronger and more unique flavour profile. 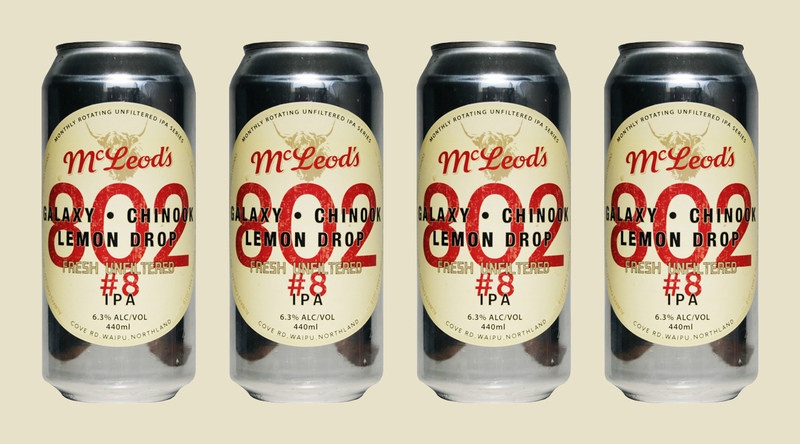 After McLeod’s asked the question of which beer from the 802 series should be packaged into a can — it’s first ever can, no less — #8 was chosen via public vote. This brew showcases unique flavours of Galaxy, Chinook and Lemon Drop, which Bathgate explains as peachy fruitiness, aromatic pine and lemony sourness. Harmonising perfectly, it’s a beautifully balanced and refreshing beverage that is appealing to every palate. So really, it only makes sense that McLeod’s put this brew in a can, to ensure that all of its distinct flavours stay vibrant and alive. Unfiltered IPAs are best when consumed young and fresh, and the aluminium can will protect the beer from the light which could have a destructive effect on the brew’s organic compounds. With a very limited release, this canned beer can only be found at certain retailers including McLeod’s Pizza Barn in Waipu and select Fine Wine Delivery Co. outlets. For a full list of where to get your hands on some, click here.